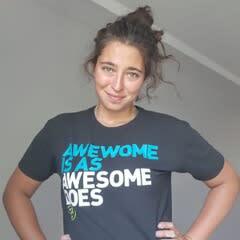 Julia at Team Triumph has been my swim coach for 2½ years, teaching me the Total Immersion swim stroke. I greatly appreciate her patience and dedication to coaching. Great coach! 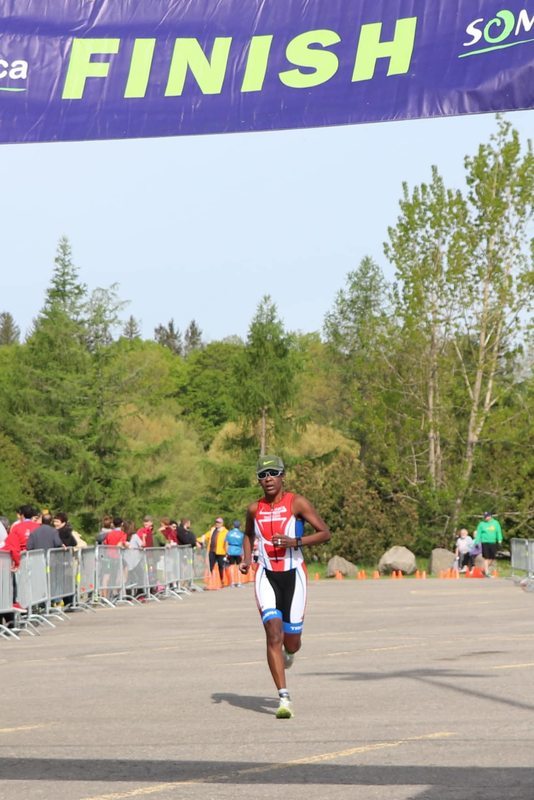 Bonjour, I started in triathlon four years ago after my sister and I decided, at the cottage over a glass of wine, that we needed a new challenge! So we both registered to a Sprint Triathlon, her in Quebec and I in Brockville. We had fun training and talking about it all winter! When race day came, I prepared my little transition space to the best of my knowledge and waited anxiously for the beginning of the competition. I saw those competitors in that bright Red and White suit and thought “boy” they look professional! Lucky for me, my friend Monique presented me some of those impressive women!! Julia, the Coach, ask me where was my transition zone, she came to see it and took the time to setted all up for me “ the right way”. At that point, I knew that she was the kind of generous coach I needed! Following that first meeting, I’m proud to be a member of Team Triumph and I trained with the most amazing group of people, winter and summer. We can count on Julia and Maggie, the coaches to help us progress to the best of our abilities! And yes I wear my Red and White suit proudly!!! Team Triumph, with coaches Julia and Maggie, is outstanding! Their spin classes are high energy and motivating experiences. The time, whether 60 minutes or an hour and a half, goes by quickly. The weight training program really has made a difference in my general strength and endurance whether running or biking. Julia’s swimming instruction and coaching has taken me from being a non-swimmer to being able to do laps in the pool. It is also wonderful to see the way members support one another as they take on new challenges or achieving their fitness goals. Thank you Julia and Maggie! I came to Team Triumph a year ago looking to meet and train with people who shared my values and outlook on life but more importantly to train with a team that would support me and encourage me to do my level best. Team Triumph more than delivers on all fronts. 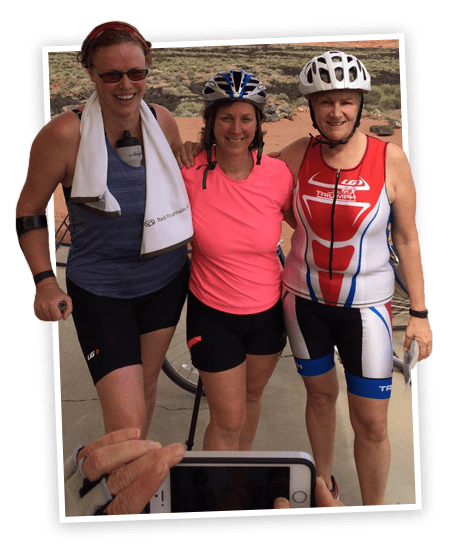 From my initial conversation with Head Coach, Julia Aimers-Cooper, who encouraged me to come out and try a couple of spin and swim classes without commitment, I knew I had found a good home for me. I loved the spin class. The music perfectly matches the cadence we need to spin at and in a slightly darkened room you can loose yourself in the music and then look up in shock when the 60 minute class or 1.5 hr. class has passed. I was extremely nervous about attending my first swim practice as I knew I could only swim 25 meters and then needed a rest break. In fact I almost did not go. I worried I would be laughed out of the pool. I was not. Flash forward 9 months, and I completed a 3 kilometre continuous swim in Meech Lake. I attribute this success directly to both swim coaches Julia Aimers-Cooper, and Maggie King. They encouraged me when I needed encouragement and gave me solid understandable constructive stroke feedback on a weekly basis. Today, I feel like I can conquer the world when I leave swim practice. In April of this year, I took the plunge and joined the team in Utah for a 10 day training camp. Probably the most exhilarating and exhausting holiday I have ever taken. To be able to have access to your coaches while riding, running and swimming for 10 days is absolutely priceless. I learned so much while having so many laughs, smiles, and high 5’s. One of the big challenges for me at this camp was a 7k climb up beautiful Snow Canyon. Simply put, I did not want partake in this ride as I am not a good climber. Coaches Julia and Martin rode alongside of me the whole way up, helping me to pick the right gears and cadence. Their encouragement got me to the top and I guess what, I was still smiling. What more could I ask for? I am now attending the Teams weekly run club. I am definitely struggling in this area and that can be intimidating. This is another area that Team Triumph excels in. 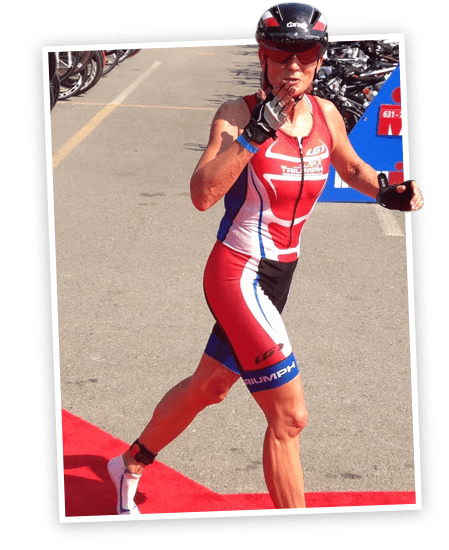 At no time, whether it be swimming, biking or running have I ever been made to feel inadequate or that I didn’t belong because I was not as an accomplished athlete as some. Instead, these stronger more accomplished athletes, often reach out to you and give up you littles tips they have learned along the way and to remind you that they too had to learn a lot once upon a time. So to sum up why I joined Team Triumph and continue to train with them a year later, it is the great coaches, and classes, but mostly it is the feeling of family. 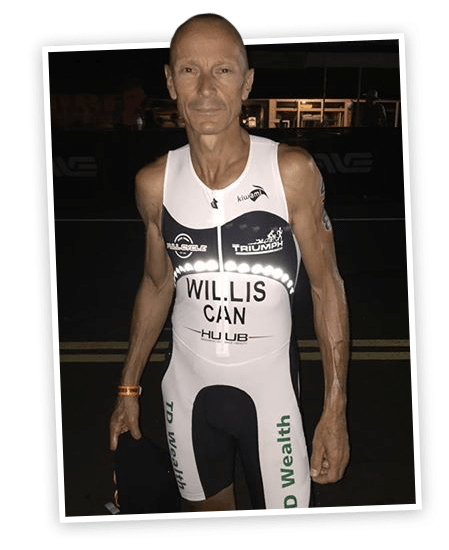 This is a team where the members work hard on their individual goals while at the same time there is always an inclusive fun atmosphere to all caliber of athletes from those just getting started and those pursuing Ironman and beyond dreams. I am excited to see where 2019 brings me. Coach Julia has changed my ways in the water! In my mid 40s I came to Julia not knowing how to front crawl. In fact I barely made it 10 metres on our initial assessment. Well here I am, 17weeks later, still learning and getting better with every swim, swimming 1700m. I would have never imagined such improvement in such a short time. Julia’s coaching was clear, concise and calm. Very grateful that I found her! I went to one of Julia’s spin classes about a year ago. Best spin class ever! I wanted to know what made her so awesome and she told me about Team Triumph. I was slightly terrified, because I was out of shape! Out of shape people don’t do triathlons, but I had nothing to worry about. The coaches are really knowledgeable and everyone was so encouraging and supportive! Teammates would ask if I was coming to next practice, so there was a level of accountability. Oh, and I saw results! I swam 4k! and I biked 93k last Summer with the group! I’ve never done that before, it was amazing! What I found by joining Team Triumph, in addition to great coaching, were a group of lovely women whose company I thoroughly enjoyed. Workouts continue to be seriously engrossing but so is the camaraderie and upbeat spirit of my teammates. I am blessed to have very close friendships because of this. Team Triumph is at the heart of what makes all my exercise plans so much fun! I believe that training with Team Triumph and learning to swim in the pool and open water has allowed me to further appreciate the outdoors. 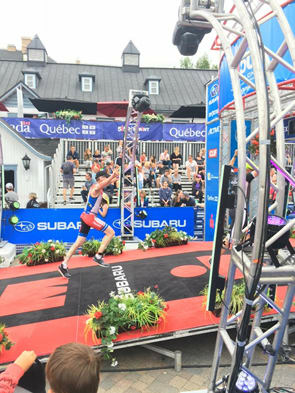 Without the club I would still be on the beach, cheering on the Mont Tremblant triathlon athletes instead of being one of them! 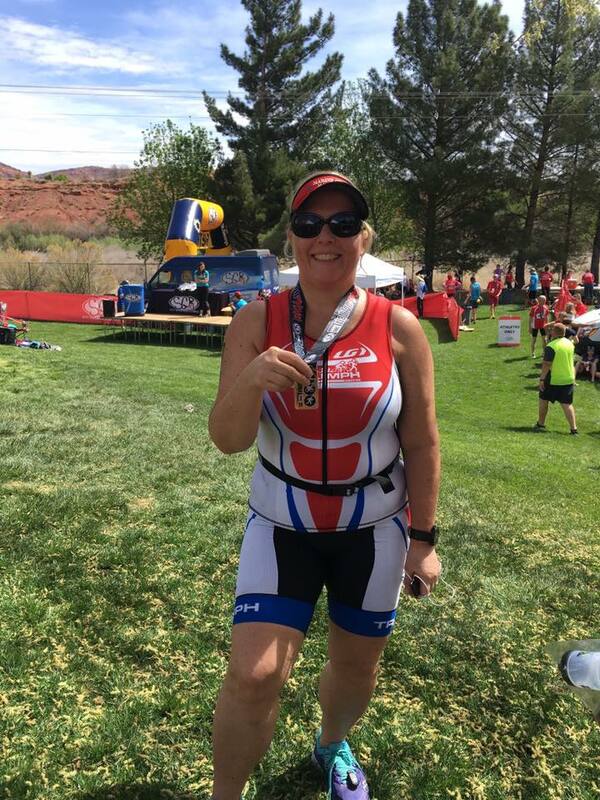 By joining Team Triumph I have become a swimmer and triathlete, have more confidence in my abilities and I have met some awesome people. I do not want to think about where I would be if I had not started training with them. I am really happy to be where I am at today. What I like most about Team Triumph is the quality of coaching, and the individualized approach. 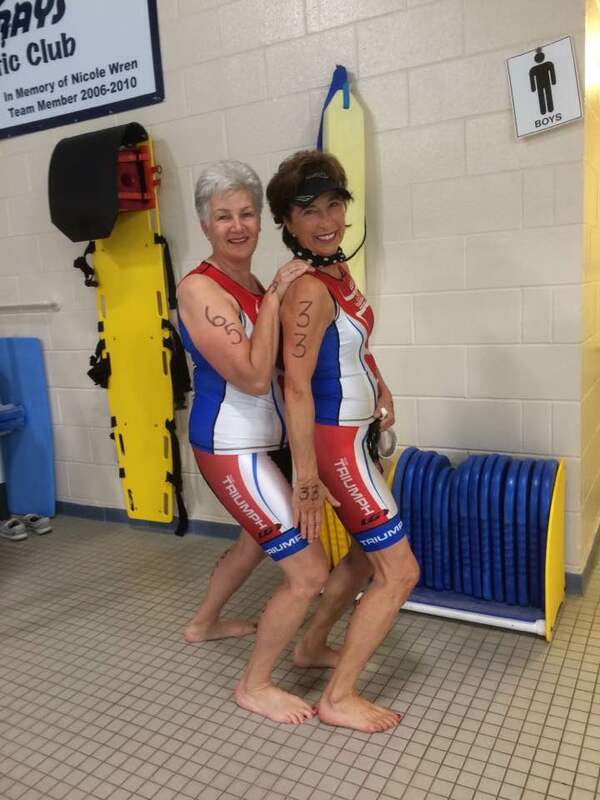 No one was more surprised than me that I became a tri athlete in my middle years. After doing my first sprint tri, in the spring of 2009, I was hooked. I also knew that if I wanted to do better and keep motivated, I needed a coach. Julia Aimers from Team Triumph came highly recommended to me by one of her clients. As a health care professional I was naturally skeptical. Julia amazed me with her approach and her knowledge. Her programs, training camps and her coaching guided me to many endurance competitions including 3 iron man distances. Team Triumph is made up of wonderful, supportive and upbeat people that I love to train and spend time with. I can’t speak highly enough about Julia Aimer’s Team Triumph. The members cover the entire spectrum of abilities—from Ironman Champs all the way to completing a 5k race on crutches. Everyone’s successes are cheered on by this friendly group of athletes. Julia is at the centre of it with workouts accessible to all levels. Her enthusiasm and patience make each session fun. Julia keeps current with the latest research, making her a versatile coach; she incorporates new skills into existing programs. 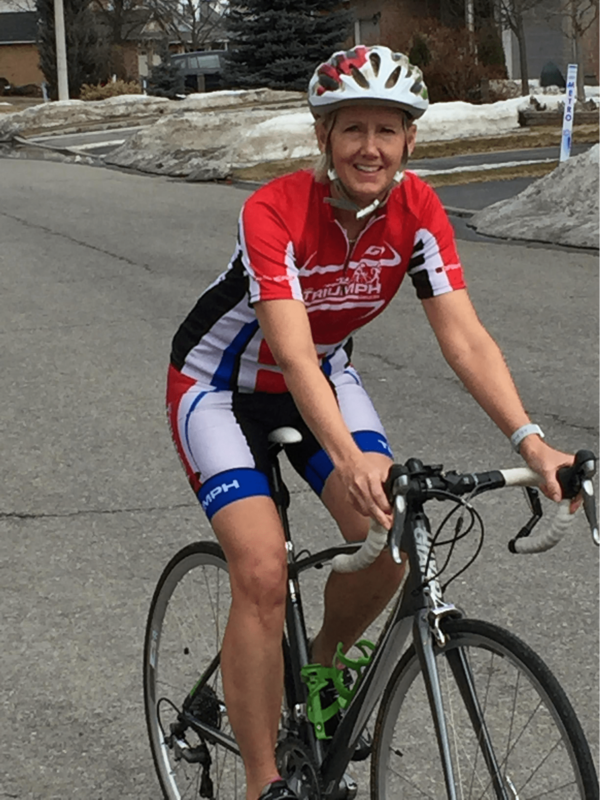 I belonged to 2 other triathlon clubs before joining Team Triumph, I felt at home immediately. What I like most about working with Team Triumph is …...Everything! I joined Team Triumph in 2006 to take a spin class. As I was neither a swimmer nor a runner I never intended to become a triathlete. But with Julia’s help and encouragement I learned to swim freestyle and started running. 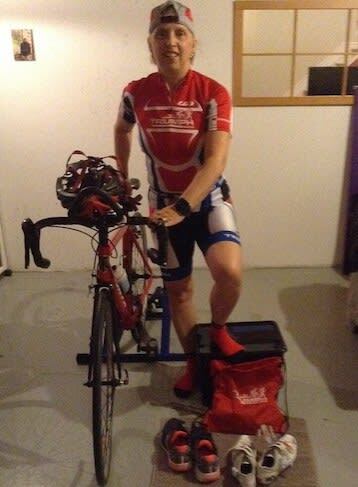 Next Julia taught me how to execute transitions and soon I was ready to enter my first triathlon. 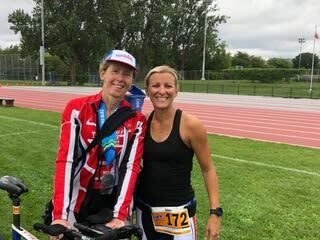 It was great to have the support of Team Triumph as I nervously stood on the pool deck in Perth, Ontario wondering if I would make it through the 500m swim, 16 km bike, and 3 km run. I did and I was eager for more! 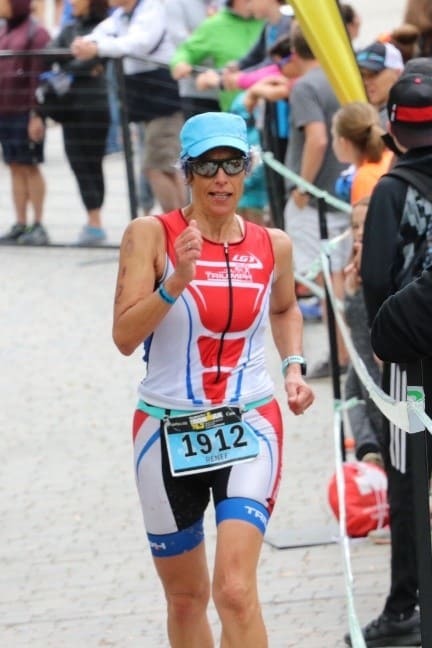 This started a triathlon journey with Julia and Team Triumph that has taken me to both the Ironman and Ultraman World Championships. 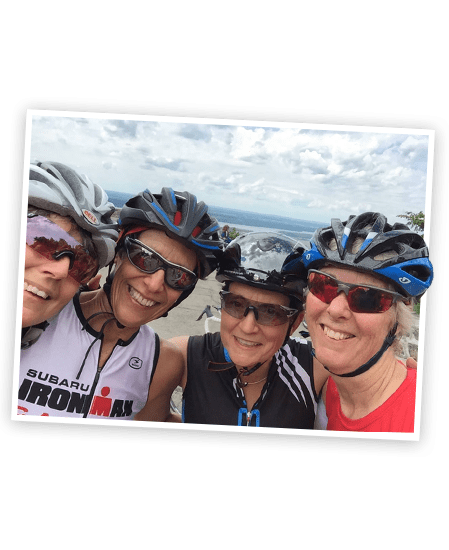 It has also given me an active lifestyle and has introduced me to an extended family of Team Triumph athletes, many of whom I now count among my closest friends. I highly recommend Team Triumph and Julia Aimers for training and having fun with a dedicated group. So glad to be back spinning with Julia and Team Triumph this fall. 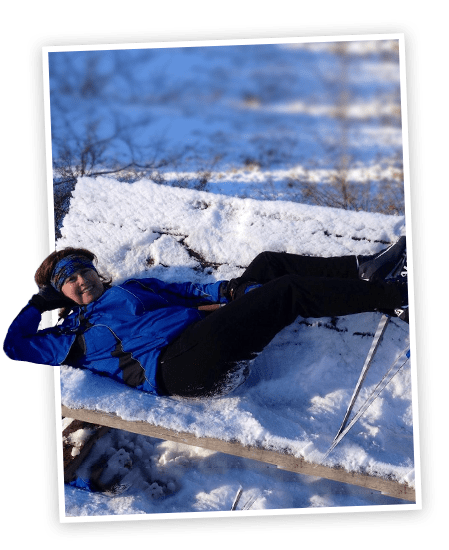 I joined the group to stay fit during the shoulder seasons and it has made a huge difference in helping not only with my cycling but cross country skiing as well. I look forward to another year of great music, great coaching and most of all, lots of fun!